Not sure yet how to add a photo, but I have owned a tidy A Series for a few years now. Its a bit different, a skilled race engineer Paul Holtom modified it a bit. Quite a lot really. 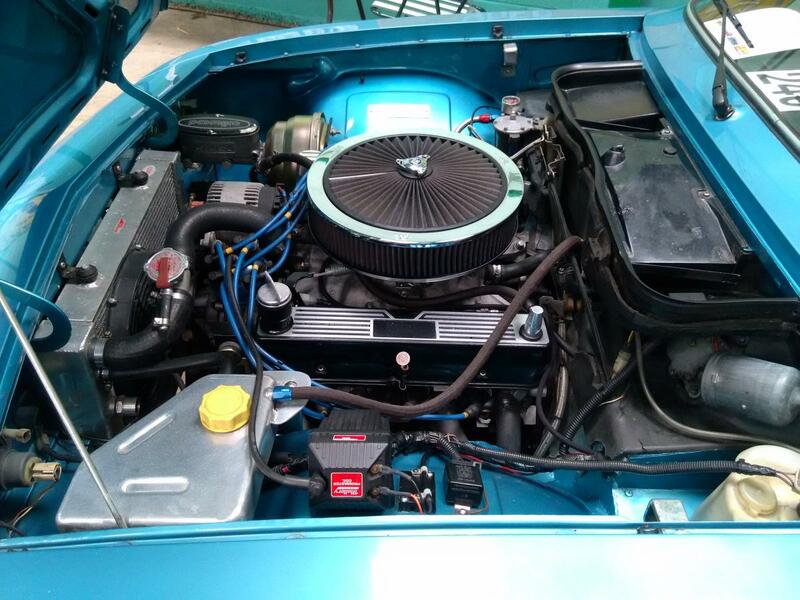 Apart from ripping it apart to remove all rust & replace with steel he had a shot with an RPI Rover V8 3.9 but switched that to an RPI 4.6 (with 3.9 timing gear cover) running an Edelbrock carb and inlet manifold. Added a getrag 5 speed and the rear axle from, I think, an Ascona. LSD. He cut it down to fit the body width and had Mauser halfshafts made in USA to suit. Front and rear suspension radically altered and a little lowered I think. MSD programmable ignition via a Mallory coil. Wilwood brakes with bias adjuster, lots of stuff I don't understand but it is very fast indeed. Also a little noisy running straight through exhausts with very small Edelbrock silencers near the end. One of the fastest cars I have ever driven although the rd one in the background should I manage to upload a photo might challenge that, but as it was borrowed and I had eye problems at the time I didn't drive that one so very fast! Once I sort the fuel tank leak and get the fuel sender gauge properly calibrated (it has US Autometer instruments throughout) I'll see what I feel about fuel consumption and then may look into adding LPG. Oh it has electrically adjustable seats from a Porsche 928 too, very flash although passenger side currently not working. If it still looks like it does in this earlier post. Congratulations it's a stunner. That is a much appreciated link, yes that's the car. It looks much the same. Differences now include the centre caps from the minilites went missing before I bought it, number plates changed to silver on black, tail lights changed to items from a Lotus Elise, Wilwood brake reservoir. Otherwise it is pretty much unchanged. The fuel tank (from a B I believe) is located in the boot and vibration caused the modified filler neck to split away and so leak badly. I looked at fitting a plastic race tank but having bought one feel it is not large enough! I am now committed to altering the existing fuel filler arrangement to a way that won't vibrate & crack. I have the parts and have started the work but office work, other commitments and dark nights are holding me up, which is a shame. It is a joy to drive but a tad loud. If I make the curious decision to have it as a daily driver I will look into a little silencing. 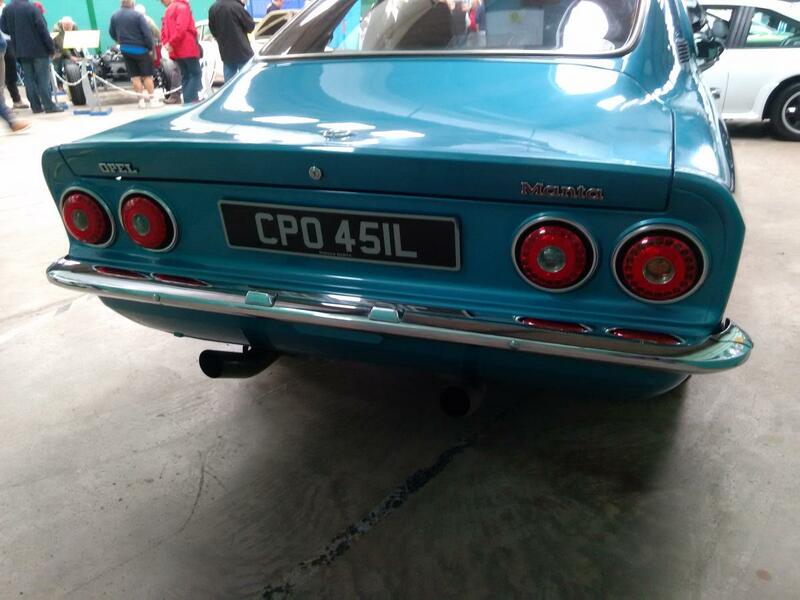 Will also investigate why the Rover V8 usually has a balancing or joining pipe between the 2 exhausts to see if this has any benefit to anything and if so, will consider having that added .... but if not, I'd rather not. I rather suspect that the balance pipe is added to hide some sort of exhaust flow shortcomings, but I don't yet know what its for. Car seems fine without one! I believe that Paul went on to design and install a similar engine into an Austin Healey. He is great and years after I bought the car from someone else, he still cheerfully answers my ignorant questions. I am peeved to be unable to add photos, I get the choice of adding a URL or adding 'an existing attachment' but when trying the latter am told I have none! Clearly others can add photos, anyone know what the problem is? A very warm welcome to the OMOC. Welcome to the club, always love V8's. In the pic's in the link above must say it looks great, hopefully will see it in the flesh at one of the shows. Our local OMOC club is Southwest and Wales(think thats right) and our Rep is Dave, sure he'll be along soon. Some of us are based up in and around the Bristol area. How do people add photos? Not sure why I can't, perhaps due to insufficient posts? Or to not being a member? Hopefully a moderator will know. If one doesn't reply then I will be obliged to swear a great deal in order to get attention! How do people add photos? Upload your photos to a hosting site (I use Imgur), then when you click on your photo within the hosting site you will be given a series of options, one of which will be to take a code to paste into a forum. Paste that code into your post and you should be all sorted. Thanks re photo tip ... I hope ! I think it was just before he sold it as it was a long time ago now! Good to see pics of it again and still looking great. Great to see this reappear. 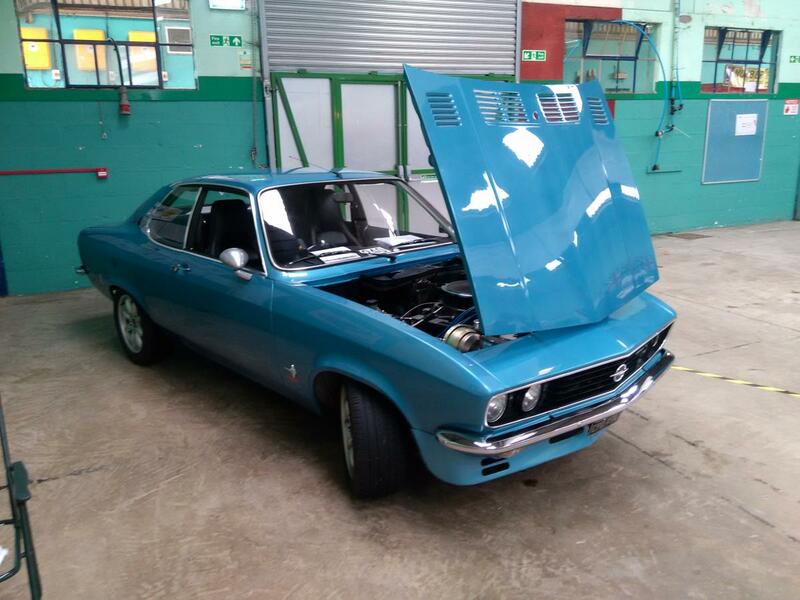 Lovely car, first laid eyes on it at vboa autojumble in cov many years ago. I had been convincing myself to sell it due to some minor fettling issues, lack of time, interest in classic landlovering etc and it looks too perfect to use much. But a couple of landrover engineer mates dribbled severely (or perhaps it was their cars dribbling?) and I read an article by some Hillman enthusiasts who did a saloon up to such perfection and beauty that they no longer dared to drive it so sold it on, deciding to use their less smart cars instead. They were horrified to find that the buyer had turned their perfection into a historic rally car. My partner has 2 moderns with perfect paint and worries about them at the supermarket car park .... it made me realise that worrying about dings in perfect paint is normal & I must get over it! 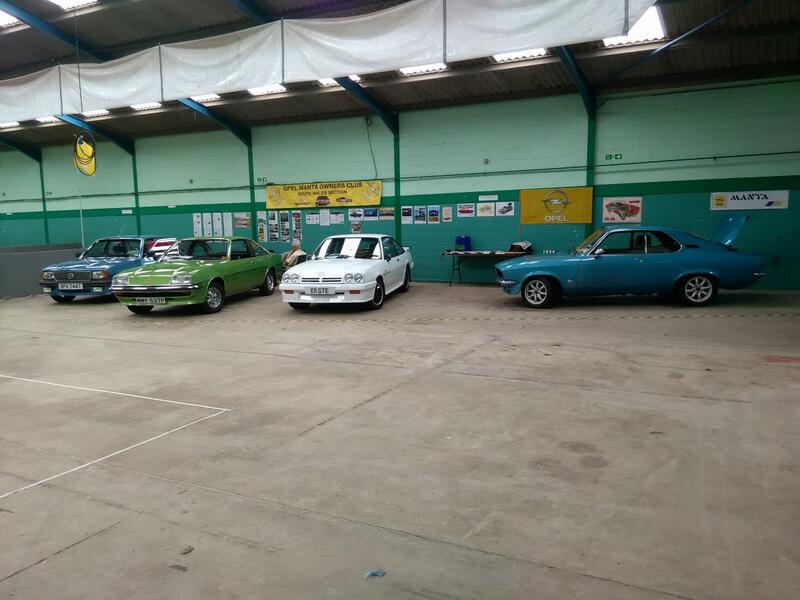 In my eyes there are two particularly attractive 'modern' Opels out there, the A series Manta and the Opel GTJ. The latter seems increasingly rare (did it rust more?) and I have not yet seen a RHD example though any in Australia presumably would have been converted to comply with local law. Anyhow, as I am not great at dealing with rust I had considered buying something plastic, something in the Mini Marcos/Gem/Midas range if I can get in/out OK, or a Scimitar .... whittled down the body choices to either a late model coupe of an early model Series 5 (not even the slightly modified 5A really). Whilst good looking, to my eyes neither car is as beautiful from every angle as the A Manta. So, latest plan is to make this into a keeper and to use it when the muddy Somerset roads are not too bad, with my 1959 Landy for other times/needs. It will be a relief to get down to 2 cars only, one day! Paul did such a good job of cutting out the rust that with a bit of care and further protection perhaps I can get many more years out of it. To suit daily use I will have to look at quietening the exhaust a little and perhaps an LPG tank where the back seat squab is ... driver's seat is right back against the squab so it is only really an ornament. I see that there are also some good aftermarket infotainment systems now available so what's not to like? 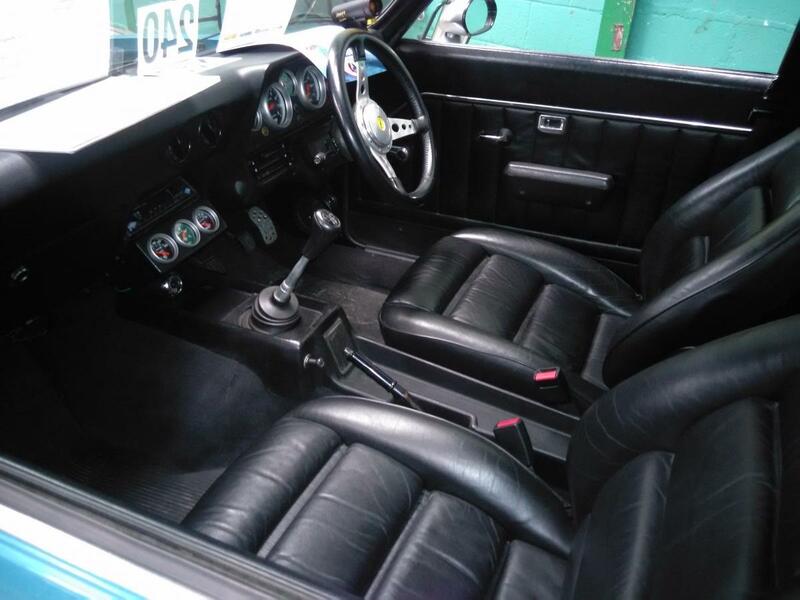 The Opel GT (the J was just a trim level) was only available as a left hand drive car. They were sold through UK dealers, but didn't find many buyers, possibly due in part to being LHD. Wow very nice car! I almost bought a Rover SD a while back with a 4.6 V8 in. Lovely engine that...so I'm sure in your Manta it goes like stink because the heavy SD was no slouch at all. Those seats look the business too!